The basic between the two is over the Christological definition accepted at the Council of Chalcedon in 451, where Christ was recognized as being worshiped both 'in' two natures that exist 'inconfusedly, unchangeably, indivisibly, inseparably'. The Copts and other miaphysites believed that this definition was ambiguous and could be understood in a Nestorian manner. They preferred to speak of Christ being worshiped in one human-divine nature 'out of' two natures. Much of the difficulty here arises from the ambiguity of the term 'nature'-- is it a particular, in the manner the Nestorians used it (equivalent to hypostasis) or a universal (equivalent to 'ousia', essence)? If it is the former, then the story of the Incarnation is the story of the Word of God uniting to a particular human being named Jesus at the moment of his conception, which is in fact how Nestorius and his followers understood the incarnation. If 'nature' is a universal, however, then the Incarnation is the story of the Word of God uniting with human nature and becoming Jesus. That is, in this theology, the person of Jesus is identical to the person of the Word of God who has taken on humanity, not a person who is somehow united to the Word. In any case, the Second Council of Constantinople of 553 affirms the latter narrative as the understanding of the Incarnation accepted by the Greeks as well. So, at this point, the differences between Coptic and Greek theology become a very subtle game of parsing technical language. However, the Copts do not officially accept any of the ecumenical councils accepted by the Greeks, from Chalcedon on. This leads to the often-overlooked theological difference of Copts speaking of one will in Christ while Greeks, following the Third Council of Council of Constantinople of 680-681, speak of two wills in Christ, human and divine in perfect harmony. The Coptic Church (Also known as the Alexandrian Church) is part of a larger "[Old] Oriental Orthodox" group encompassing Orthodox Churches of Syria, Armenia, Malankara-Indian, Eritrea and Ethiopia - which are in full communion with one another. These do not accept the Christologies of the Arians, Apolinarians, Nestorians, Eutychians as well as Chalcedonians among others. In fact, they accept only the first three Ecumenical Councils of Nicaea, Constantinople and Ephesus. They reject Chalcedonian council (AD451) which proclaimed that Jesus has 'two natures in one person'. The Oriental Orthodox Churches are more conveniently known as "Miaphysites" - a direct reference to their Christology based on the Cyrilian formula or simply "Non-chalcedonians". The Alexandrian (Coptic) stand in Chalcedon was that the use of the term 'two natures' by the council is an acute opposition to the Christology of earlier Fathers as stated in the latest manifestations in the previous council (1st Ephesus in AD431) with no significant changes to the Nestorian theology. These wordings are also against the famous formula of St. Cyril of Alexandria (adopted later by the Council of Ephesus AD431 as being the orthodox Christology) which says μία φύσις τοῦ θεοῦ λόγου σεσαρκωμένη -- "mía phýsis toû theoû lógou sesarkōménē" -- "The One Nature of The Word of God Incarnate" -- (Please, refer to the 12 anathemas of St. Cyril the Great). For this reason the Oriental Orthodox are called "Miaphysites". 'One-Naturists' if one may. The Greek Orthodox Christology on the other hand (also called as 'Chalcedonian Confession' or 'Creed of Chalcedon') is based on the famous Tome of Leo (A letter by Leo the great, bishop of Rome sent to the second council of Ephesus in AD449) which speaks of the union in Christ as 'acknowledged in two natures', αναγνώρισε σε δύο φύσεις which 'come together into one person and one hypostasis'. The formula was adopted in AD451 by the council of Chalcedon as beeing the orthodox creed. (Please, refer to the letter of Leo of Rome.) For this reason the Chalcedonian churches are also named as "Dyophysitic". and that is to mean 'Two Natures'. (Note: however, that designating the Oriental churches including Copts as 'Monophysite' is a severe misconception of their Christology which is clearly distinct from the Christologies of Arius, Apolinarios, Nestorios, and importantly from Eutyches). The difference between 'Monophysitism' [naturally a Eutychian theology] and 'Miaphysitism' [a Cyrilian formula] is that the former refers to a "Simple One Nature" where Christ's humanity is sucked by his divinity or a distinct set of premieses leading to only one of the perfect natures of Christ preserved after union. In such a case, Jesus is not consubstantial either with us or with the Father. Where in the later (Miaphysitism), Jesus has two perfect natures - fully Divine and fully Human. And these two natures are perfectly united into a "Composite One Nature" where a different third substance is not created, neither did the two composing natures lose their substance. In other words, Christ is consubstantial with us as much as He is with God the father. Consequently, the difference between 'Monophysitism' and 'Miaphysitism' entails a great separation of 'Single Nature' - which is a simple one, and 'One Nature' - which is a composite one, respectively. Technically speaking, when we say the Oriental Orthodox hold the union not to be into a 'simple one' or a 'single one' as alleged by Eutychians (monophysites) is to avoid saying that either of the natures banished after the union. And 'composite one' is found favorable to express the two perfect natures - divine and human mysteriously united with no lesser or greater proportion than 100% into "'One Nature' of God the Word Incarnate" - (more famously described as without changing, mingling, alteration, interpenetration, confusion, addition or mixing). Such a Christology is drastically opposite to 'monophysitism' and thus the Orientals are plainly against all the ideals of 'monophysitism'. The Oriental Orthodox have been vocal in that it is wrong to label them as such which is a caricature (misrepresentation of Alexandrine Christology) made for the first time by the council of Chalcedon; a council which met to excommunicate Eutyches of a monophysitic creed but ended up excommunicating St. Dioscorus of Alexandria who was a persistent objector of 'monophysitism' and 'Eutychianism'. Many argue and it is clear from records that St. Dioscorus held a Cyrilian Christology and was excommunicated simply for predominantly ethical allegations. Some of the prominent Coptic Apologists include St. Dioscorus of Alexandria (Champion of Orthodoxy - AD444), St. Cyril of Alexandria (Pillar of Faith - AD412), St. Timothy of Alexandria (The Great - AD378), St. Athanasius of Alexandria (The Apostolic - AD328), St. Alexander of Alexandria (The Great - AD313), St. Peter of Alexandria (Seal of Martyrs - AD300), St. Dionisius of Alexandria (AD265), St. Demetrius of Alexandria (AD188), St. Mark the Apostle (the Evangelist - AD48),... For the Coptic Church please visit: The Christian Coptic Orthodox Church Of Egypt and for Christology particularly Monophysitism Reconsidered. The Chalcedonians' understanding is that Christ is recognized in two natures, full humanity and full divinity. Oriental Orthodoxy contends that such a formulation is no different from what the Nestorians teach. This is the doctrinal perception that makes the apparent difference which separated the Oriental Orthodox from the Eastern Orthodox. Although it's a common opinion that they got shafted and were more misunderstood than heretical. "The Chalcedonians' understanding is that Christ is in two natures, full humanity and full divinity. Just as humans are of their mothers and fathers and not in their mothers and fathers, so too is the nature of Christ according to Oriental Orthodoxy. If Christ is in full humanity and in full divinity, then He is separate in two persons as the Nestorians teach. This is the doctrinal perception that makes the apparent difference which separated the Oriental Orthodox from the Eastern Orthodox." This wiki explanation is difficult to follow because of the grammar violations and also the narrative flow violation. Written one way, the Coptic thinking is merely about a 'misunderstanding'. Written another way, it is a heresy in contradiction to the Holy Spirit inspired 'Greek' understanding. I think it matters that The Judaic Texts were translated into Greek in a miraculous manner, as a sign that this translation is the one that Our Lord wanted the world to follow as accurately conveying the message of God and the history of God and his people. Christ Himself called Himself the Son of God, and chastises Philip -(to paraphrase) "have you been with me so long and don't realise that I the Son am in God -the Trinity seen as a singular unit- and God the Father is in Me (all Three of Us are Always in Unity and Undivisble, even though I have put on the flesh of my most prized servant ...in other words We Three-The Father, the Son and the Holy Spirit- are of one Essence, One Mind and One Nature....whereas as the God-Man, Christ is of two natures in one Person.) We don't have a fourth person in the Trinity. Christ-Incarnate means simply that, the Son of God hath put on Flesh with all its properties bodily, soul and spirit, different than the Divine Properties, but akin to them; to effect the Great Salvific Ekonomia of His People ie to save them from their sins. This is the difference, very simply put, and using simple grammatical language. Furthermore the Coptic and Nestorian understanding lends itself to the Avatar notion of trans-positioning (i don't know the precise term) wherein they could say God the Son attached Himself to "Jesus" a unique person, separate from the Essential Unique Son of the Trinity as was explained above. This fusion of mis conceptions and grammatical error will prove useful to confusing people into being led to understand the Hypostatic God as a mere man....a very prominent freemasonic, muslim and buddhist notion and, furthermore, new age. I remember that when I was a buddhist, the gurus told us that Christ (yes, Christ-God) was meditating somewhere in France. I remember in my deluded state being so pleased with hearing that, and i even Thanked Jesus for allowing me to be a buddhist. I remember even being encouraged to work harder in my meditation. That is how far the delusion can go and ofcourse Christ couldn't allow me to go on in that state, but that is another story. So I wish the Coptics and Nestorians would get it together and admit their error...and reform at least for the sake of the souls of the people who they are entrusted to pastor. I know we have to be kind and such, but the truth is the Coptics are just being stubborn. Plain and simple...and they in this regard need to realise the danger they are leading their peoples in. Im sorry if some feel i am preaching or being judgmental. Jugmental (in secular context) means condemning. I am not condemning, nor am i preaching. I am being very frank. I have not condemn anyone to hell, I am just stating facts. Im not going to deny my experience or historical experience either. Here is the quote in its entirety. I think my personal experience highlights the danger that people will enter into when we are exposed to wrong thinkings about Christ as the God-Man, one of the three persons of the Trinity, Singular and yet Three Distinct Persons. Below is the source of the above quote: 14 John 1-11. Not the answer you're looking for? 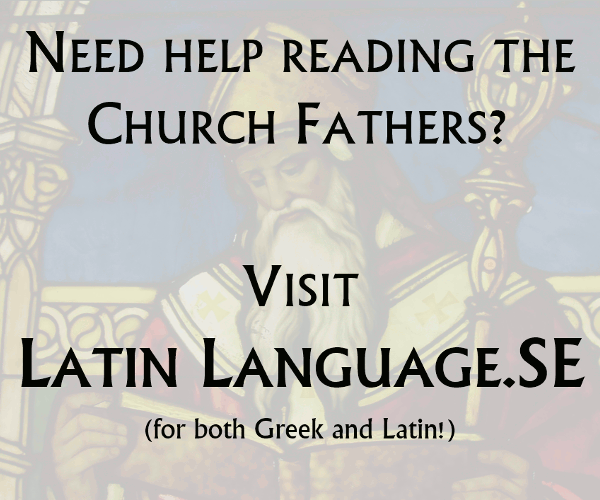 Browse other questions tagged eastern-orthodox coptic or ask your own question. Why does the Coptic church still perform circumcisions?